An in-depth guide to batch processing. Cover every aspect of Spring Batch. The perfect example of what a technical book should be: begins with a good introduction to the subject, do not hesitate to overuse clear explanations and real-world examples, included all best practices, do a thorough coverage of all topics even if it takes more than 400 pages and provides the source code, with a lot of unit tests, perfectly organized in a multi modules Maven project. To give you a glimpse of the content: you will learn how to launch and schedule your batches, read and write data (SQL, XML, Hibernate, JMS, Email…), make your batches robust and testable, manage transactions, monitor and tune them for high performance. Nothing is left behind. Note: The book covers the version 2.1 of Spring Batch. A new major revision was released since but does not make the book obsolete. The revision aims to support Spring 4/Java 8 and the new JSR-352, the JPA-like API for batch processing. No worries. Spring Batch and JSR-352 are structurally the same. Change the package’s names, some class names and some XML tag’s names and you got a new specification to do what Spring Batch does perfectly since 8 years. In definitive, I recommend the book to any developers envisaging to use or already using the framework. 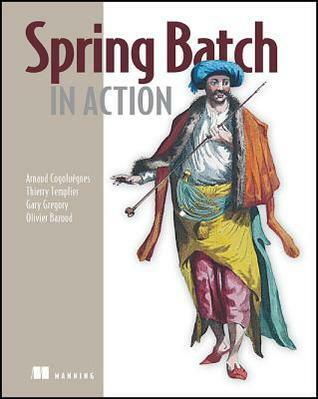 By the end of this book, you will know everything Spring Batch does and how to use the framework to write efficient and maintainable batches in Java. The only prerequisite is to have basic knowledge of Spring Framework.